Thank you for your interest in flight training with Pavco Flight Center. If this is your first step towards a career flying airplanes, or just flying for fun, then let us introduce you to your new future as a pilot. We encourage all potential students to call us at (253) 851-5577 for more detailed information from one of our instructors. We would also like the opportunity to schedule you a session and introductory flight with one of our flight instructors. First time flying an airplane? No problem. available for intro flights as well! go" instructional courses, with no dues, memberships, or fees! • An original U.S. birth certificate or a valid U.S. passport or U.S. Naturalization document. • A valid driver’s license or a government issued photo ID. • We will have brief paperwork for you to fill out. speak with your flight instructor first about any course specific materials. The ground school portion of your flight training involves providing you with the aeronautical knowledge necessary to understand how airplanes work and operate, the environment in which airplanes fly, and federal regulations related to flying as a pilot. We understand that our students have different learning styles and time constraints, so we offer a few different modes of providing ground instruction that best suits your individual needs. Ground school programs can be taken via self-paced interactive software, conducted in one-on-one ground lesson with your instructor, or a hybrid of both. Once your ground schooling is complete you’ll be prepared to take the airmen knowledge exam, which is required prior to taking your final practical test checkride to get your pilot certificate. The flying portion of your training toward your private pilot certificate, and further advanced ratings, includes dual flight instruction with your instructor and later solo flight time with just you and the airplane! You will usually fly for about one hour each instructional flight, except for when completing your cross country flights, which take longer to fly the minimum distance requirements. 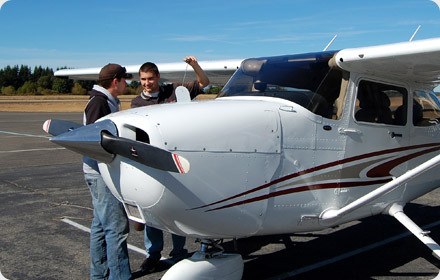 Your flight instruction session begins with a pre-flight briefing and lesson review with your instructor. Then, upon checkout of the aircraft, a preflight walk-around is conducted to check that the aircraft is ready for flight, has proper engine fluids, fuel, and that all systems on the outside of the aircraft as well as in the cockpit are functioning properly. After landing, parking, and securing the aircraft, a post-flight briefing is conducted with your instructor to review the lesson topics, and answer any questions you may have had about the flight that time didn't warrant in the cockpit. When flight schools talk about the difference in training under Part 61 or Part 141, they are referring to the Federal Aviation Regulations (FAR's) which controls the authority to train pilots. Both sets of regulations define the minimum flight hour requirements and curriculum for pilot certification. Any FAA Certified Flight Instructor, even when not associated with a flight school, may train a student pilot under Part 61 regulations. Established flight schools that meet requirements and are approved by the FAA, are able to train under Part 141 regulations. Part 141 allows for a reduced amount of minimum flight hour requirements for a student to obtain their pilot license or additional ratings. This is because every Part 141 flight school must have their curriculum reviewed and approved by the FAA, is regularly monitored and audited, and must meet minimum pass rates on the practical exams. Pavco offers training under both Part 141 and 61. Both methods of flight training require the student to meet the same standards of performance. However, the benefit of Part 141 ultimately lies in each individuals learning abilities and long term goals as a pilot. Part 141 is ideal for students geared towards a career as a pilot, as to where Part 61 is often more suitable for someone just learning for fun. 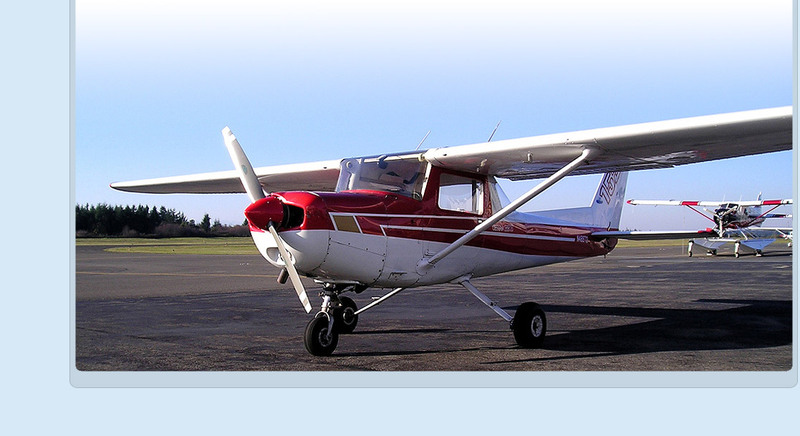 Speak with your flight instructor for more information on the advantages of training under our Part 141 program. © Copyright 2017 PAVCO INC.